We aren’t done with the evolution of corn ethanol. Corn with a sugary stalk is coming. At this stage of development, we can get a lot of sugar in the corn stalk, but the ears are smaller, and the grain production goes down. So the work continues, until we get no loss of grain. We may be adding another ear or two of corn to the stalk, in order to compensate. Sugar corn stalk will produce several hundred addition gallons of ethanol, from the same acre of corn, without displacing any other acreage. Today, we only take the starch from 25% of the corn crop. The other 75% of the crop goes directly to livestock feed. Tomorrow, we will extract sugar from the entire corn crop to make more ethanol, and we’ll still have all the grain. Another 300 gallons per acre times 90 million acres is 27 billion gallons of additional ethanol a year, derived from the same size crop. Another byproduct of corn ethanol is the waste water “centrate”, containing 6-11% corn solids and waste sugars, now being used in biogas digesters to produce methane. This is converted into CHP production power – electric power for the plant, surplus power for the grid, and waste heat used for distillation. There are also plans to grow algae, either directly on the corn ethanol waste water “centrate” or on the leftover digester effluent. This is corn ethanol, biogas, and algae production integrated together. Onsite manure can also be part of the mix. See “Farmer’s Ethanol” for the integrated future of ethanol. The digesters mitigate the methane, and the algae mitigates plant CO2. Natural gas or coal, currently being used for production power, is being replaced by this technology. Leftover waste heat will also be exploited. The algae grown on the corn ethanol waste stream will be used for numerous value added co-products. The oil can be extracted to make localized biodiesel, bio-plastics, fertilizer, omega 3 nutriceuticals, and exotic medicinal lipids. The algae starch provides more feedstock for ethanol, and that drops into the refinery infrastructure. The algae protein is complete protein that rounds out distillers grains, which is protein-rich, but not complete protein. So the two co-products will be marketed together as complementary livestock feeds. This will have a significant impact. It will improve the quality of feed, provide a bigger supply, and lower the cost. That will provide economic stimulus by increasing farm profits and lowering energy and food prices. The blockbuster will be heterotrophic algae grown on the waste stream of ethanol refineries in adjacent, onsite dark tanks – on a very small footprint. This method of growing algae, also used by Solazyme, one of the algae R&D leaders, is up to 1,000 times more concentrated than autotrophic algae grown on sunlight. Duckweed is another prospect, because it’s easier to harvest than microscopic algae. Integrating manure, methane digesters, CHP, algae and duckweed into corn ethanol refineries will dramatically improve the efficiency and the environmental footprint of ethanol. It will also stabilize and diversify the industry with a broader spectrum of co-products. Another criticism of ethanol is that it has 30% less BTUs than gasoline and typically gets that much less mileage. That’s debatable. Different engines get a variety of different results. Some engines actually get better mileage on a 20 to 30 percent blend of ethanol than they get on regular gasoline. Furthermore, we would still be breathing the unburned residues of gasoline, if we weren’t using ethanol as an oxygenator. Blender pumps are also part of the efficiency equation. Poet, the largest ethanol producer in the world, is implementing a plan to ship ethanol directly to retailers, where the ethanol is blended while you pump it into your fuel tank. Retailers are also sharing all or part of the ethanol blender’s credit with the consumer, in the form of lower fuel prices. Prior to this, ethanol was shipped to a central oil company or fuel distributor, where it was blended with gasoline for the credit, and then shipped to the retailer, often back to where it came from. Compare that with localized production and direct consumption of ethanol, a trend which is becoming more and more widespread. Also, the engines that are coming are not just ethanol compatible. 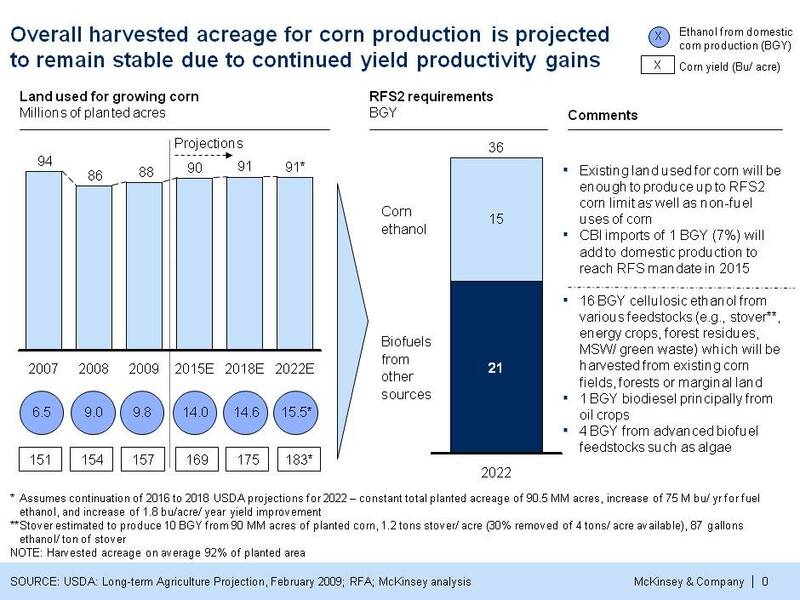 They will be “ethanol optimized”. They get better mileage on ethanol than they get on gasoline. They also have all the torque of diesel, but at a lower up-front cost, using a cheaper fuel. When we design an engine around the superior characteristics of ethanol, such as 30% higher octane and much faster flame speed and vaporization rate, ethanol proves to be a superior fuel. It can also combust in conventional engines when mixed half and half with water. Vaporize the mixture, and the ratio can be as high as 2/3 water and 1/3 ethanol. We also have efficient, compact, inexpensive ethanol-water fuel reformers in the works – that simultaneously strip all the hydrogen from the ethanol and half the hydrogen from the water. Think about that. You diluted your fuel with water, and then you also extracted half of the hydrogen from the water. We need to implement this. Hydrogen can thus be produced onboard the engine, on demand, from ethanol-water. So you fuel-up with a safe, liquid, domestic fuel, without compressing bulky hydrogen into expensive ultra high-pressure tanks and hoses. Onboard ethanol-water-to-hydrogen technology can also be used in range extender engines for the coming plug-in hybrids. And also used in combination with 75% efficient fuel cells. Ethanol-water technology will improve the “end use efficiency” of the fuel, which is part of the footprint – Especially since it will totally eliminate the logistics and the added cost of blending ethanol with gasoline. Indirect land use change theory looks like a fairy tale to me.